Rats are one of the most annoying pests to have in your house. They contaminate food items and also leave germ from wherever they pass. This obnoxious pest can intrude your home without being welcomed, and turn everything into rubbish literally. They require water, shelter, and enough food to survive and if your home provides these things, it would be hard to get rid of this rodents. Norway and roof rats are the most common species of rats found, which get easily attracted to garbage. A rat can courier many severe diseases to humans and livestock in two way. Rat may carry diseases on their own through urine, saliva and faces. These illness include Murine typhus, leptospirosis, trichinosis, salmonellosis ( food poisoning), plague( this mostly comes from roof rats than Norway rats), ratbite fever. These rodents are dangerous to have in your home; it affects your health, and that of your loved ones including a pet, that is why you should get rid of them once you spot them. Some of these tips are natural home remedies, and you will not be putting your family or your pets at health risks. Clean up – Sanitation is essential to control a rat infestation. Try to maintain a good level of sanitation in and around your home to prevent rats and other rodents from entering. Many of the odors that draw rats are from food droppings that find their way into the corners of your home. So, make sure to clean up after eating and dispose of very well. Block holes – Using a metal rodent guard if you have any wire lines or pipelines that come from the outside into the house. 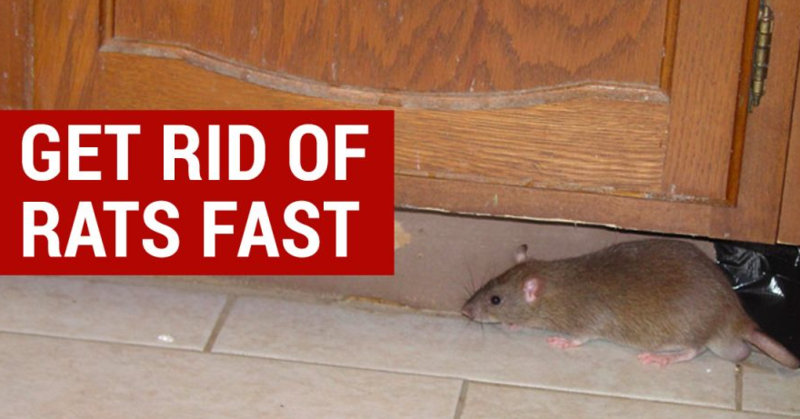 Recover those areas they can get through, especially wooden doors and rats can eat their way in. Stuff openings like utility lines and pipes by stuffing copper mesh in them. You can block holes with a mixture of steel wool and mortar or caulk. Inspect your plumbing, if there are any holes or cracks around them. If you have a basement, don’t forget to seal up small openings and that you have proper sealant on your basement door. Peppermint oil – This essential oil is natural deterrent and rats cannot stand its pungent smell. This method is very safe to use around your home, because it is non-toxic and it gives your home a lovely smell, unlike other synthetic chemical rodent treatment. This method is so easy to carry out, all you need to do is put some drops of peppermint essential oil on cotton balls and place them in the suspected rat areas, and this will give you a satisfactory result. Or you can also distill the oil in water and spray around the house. Ammonia – Rats stay away from the smell, especially this one. Ammonia is a compound of hydrogen and nitrogen, and it smells like the urine of a possible predator. To get rid of rats using this product, you will need two spoons of any detergent, a quarter glass of water and two cups of ammonia in a bowl. Mix all ingredients into a spray bottle and spray it where rats frequently appear. If you do not want to go through the process of eliminating rats yourself, it is advisable to hire the best pest control service near you.